WEST CHESTER — The Chairman of the Chester County Democratic Party has filed voter fraud charges against Eric Roe, the Republican candidate for state house in the 158th District, alleging that Roe knowingly ran for State Representative, despite not meeting the commonwealth’s residency requirements. The Democrats filed complaints with Chester County District Attorney Tom Hogan and Pennsylvania Attorney General Bruce Beemer late Thursday alleging that Roe has not been a resident of Pennsylvania for four years as required by the state Constitution, but lived in Washington D.C. possibly as late as September, 2013, while employed at a political action committee, while Republican officials say there is no issue and that the move is “ridiculous” as Roe maintained his official residence in the county, using it for his drivers license and tax returns. Roe is facing off against Democrat Susan Rzucidlo in the November election. 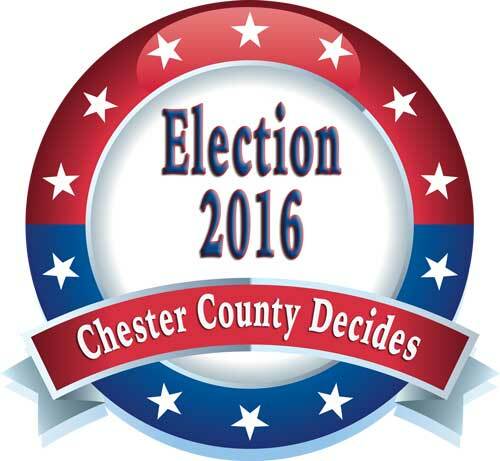 Brian McGinnis, chair of the Chester County Democrats, filed the complaint personally, saying that he had developed information that Roe has not been a resident of the state continuously since Nov. 8, 2012 — or four years from election day. As evidence, McGinnis provided a residency verification saying that Roe leased an apartment in Washington, D.C. through at least June, 2013. They also showed various Federal Election Commission finance reports showing Roe as first an employee of the Republican National Committee and the Chertoff Group, arguing that Roe was not a college student, but a working, full-time resident of Washington, D.C. The latter reports are from 2010 and 2012 and do not demonstrate any employment history past January, 2012. Republican Committee Chair Val DiGiorgio responded late Thursday night and rejected the claim, saying Democrats were trying to win a seat through charges that they cannot win otherwise at the polls. DiGiorgio argued that Democrats have to resort to this sort of behavior because they do not have a competitive candidate in the race. For the record, Rzucidlo — in a letter published here this week refuted those claims, suggesting that Roe — and now, by extension, DiGiorgio were lying about her stances on those issues. Neither Hogan nor Beemer’s respective offices could be reached for comment last night — messages were left with both. Roe’s eligibility to run has been a point of contention between Democrats and Republicans, with Democrats arguing that Roe, after graduating college, went to work for various political organizations in the nation’s capital rather than returning to his native Pennsylvania. Roe and the Republicans have counter argued that Roe attended graduate school in England — and still considered a student with permanent residency in Pennsylvania. McGinnis argues that Roe continued on as an employee of the PAC Let Freedom Ring, a right-wing group fronted by former County Commissioner Colin Hanna. Democrats pointed to Roe’s LinkedIn page which they say showed him working for Let freedom Ring after Nov., 2012 as a consultant. It will be up to investigators to decide the merits of the charges, but attorneys on both sides made their arguments, Thursday. Republican Committee Solicitor Joel Frank said the issue had been put to rest months ago. Thursday’s filing of charges is just the most recent drama in races involving the 158th District dating back to 2014, when then GOP candidate Cuyler Walker withdrew in September, citing personal reasons — and he was replaced on the ballot by the retiring State Rep. Chris Ross, who won reelection in November of 2014. This spring, Leonard Rivera, who won the endorsement of the party committee was forced to withdraw from the race after questions emerged about his nominating petitions. Roe won as a write-in candidate in the April primary.